Uterine Myomectomy has had a significant impact on many patients’ lives, including Mara Ann Mankhomwa, a 36-year-old Zimbabwean resident. For almost a year, Mankhomwa was experiencing a consistent, sharp pain in her abdomen, as well as the feeling of being very bloated, making her everyday activities challenging and uncomfortable. She underwent multiple tests, yet the cause of her symptoms was not found. During this time, Mankhomwa tried fertility treatment. It was during one of the routine tests that the source of her pain and discomfort was finally uncovered – she had uterine fibroids. Not sure about how to handle this new development, Mankhomwa decided to receive a second opinion and through a friend was referred to Vaidam.com. After considerable enquiries, Mankhomwa decided to approach one of the best uterine fibroids doctors in India: Dr. Poonam Khera, M.D. Doctor Khera who had been a specialist at BLK hospital for over 10 years. Upon looking at reports sent by Mankhomwa, she was certain that the source of the pain and bloating were the fibroids and advised that she get them surgically removed. Determined with the initial prognosis, Mankhomwa and her husband made their way to India and arrived on the 18th of April for her treatment. Not wanting to waste any further time, Mankhomwa decided to undergo surgery as soon as possible. 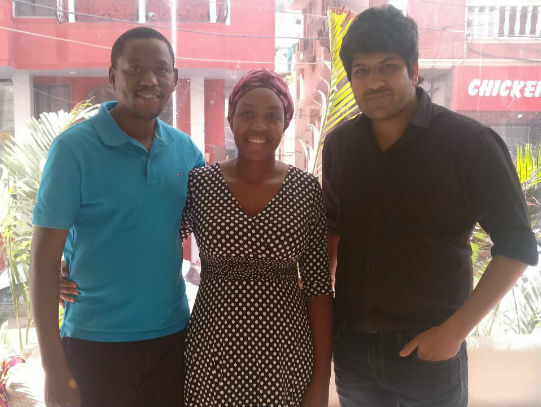 After suffering for years with painful periods and extreme bleeding, Mankhomwa made her way out one of the best fibroid treatment hospitals In India two days later, finally glad to be rid of her incessant pain.